SOCIAL GOOD: What is Preeclampsia? Sarah and her precious baby. When I had my daughter Hayley Jane at full term via c-section on October 25th, we were on cloud nine! Our little princess had arrived and even my son Derek, at just 26 months old, was thrilled for our family. I was released from the hospital and spent two days in that post baby honeymoon phase. Then I woke up on October 31st, and I knew something was off. I told my husband, Rob, that I couldn’t fully catch my breath and that I had a dull headache and thought my vision seemed blurry. I thought I was being paranoid, as I was recovering from a c-section and had a new baby that was nursing every 2 hours. But Rob told me to call the doctor. After many hours in the ER, I was sent to Labor and Delivery, where I was told what I had was preeclampsia. WHAT? She told me the magnesium would help me and that my husband could stay. Rob stayed by my side for 3 long days. The first night I was on it he snored away in the chair next to my bed while I saw 5 of everything, had to wear an oxygen tube because they couldn’t get my oxygen levels to stop dropping, was pumping every two hours, was unable to get out of bed and was hooked up to a catheter. I felt so sick, oh, so sick. The magnesium makes you so so, so sickly feeling. After I came off the Magnesium I felt “better”. My blood pressure was still high but low enough that I could go home eventually!! It took a few weeks for my BP and me to get back to normal. Globally, preeclampsia and other hypertensive disorders of pregnancy are a leading cause of maternal and infant illness and death. By conservative estimates, these disorders are responsible for 76,000 maternal and 500,000 infant deaths each year. The Preeclampsia Foundation www.preeclampsia.org is the only non-profit in the US devoted to hypertensive disorders of pregnancy, serving the 10 million women worldwide who develop preeclampsia each year. This May, women from all across the United States will be Making Strides to Deliver Hope at the Promise Walk for Preeclampsia, while raising awareness for preeclampsia. 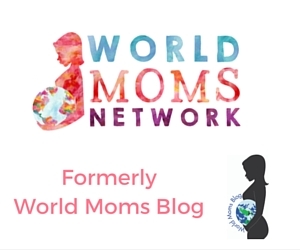 Sarah Hughes is a fan of World Moms Blog from New Jersey, USA, and we are thrilled to have her post with us today in our Social Good column for maternal health advocacy. « SOUTH KOREA: What’s In A Name? 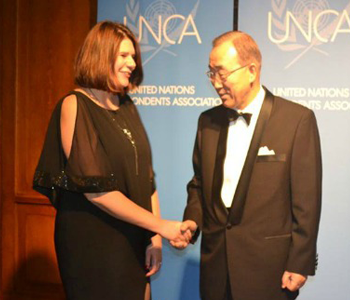 Sarah, thank you for contacting us and sharing your story! I’m so honored that you shared it!! Thank you and keep up the great work! Sarah, I had no idea that you could have preeclampsia post partum either. I am so pleased that you had access to good medical care and everything worked out for you for the better. It’s great to have these issues made conscious for us – when we know, we can do something! Thank you for sharing this post, Sarah. This is something that is very close to me as I had a severe preeclampsia when I was pregnant. Was diagnosed at 30 weeks but I was one of those rare patient that never have the obvious symptoms other than my sky rocketing blood pressure which later then confirmed with the lab test that my kidney was leaking protein. My obygyn called me his miracle patient lol. I was put on a bedrest for 5 weeks before I was deemed too risky to carry the pregnancy and my son was born from emergency c-section. Big kudos to spread the awareness on this! Thanks Tatter!! It’s so frightening isn’t it. You think you get pregnant and will just have a baby and everything will be great. I’m so glad you are ok now and that you were able to hold out a little longer. It’s my dream that when my daughter is of childbearing age that we will have much more knowledge of this! Great job, more awareness required. Only found out I had it shortly after going into hospital and my first baby was born stillborn. There are dire consequences if undetected on time. Keep up the good work. I had no idea you could get preeclampsia post partum either! I had it with my second child, but they noticed it when I went into labor. I can attest to the effects of magnesium! Thanks for sharing your story so others will be aware! Oh yes the “dreaded mag” as I have heard it referred to many times!! I too thought I was so “in the know” which is why this was such a shock as well as being a fearful time. I am thankful that my husband told me to just call the doctor. I also had pre-eclampsia post-partum. I’ve never heard of anyone else who had it. I was able to get things under control through a day visit. It was really scary though. I’m glad you’re ok.
How scary! I didn’t know you could have it AFTER the birth of the baby. With my first I was being monitored for it but it turned out I have gallstones and needed some Vitamin K as well. The is a very useful post, as I’m 27 weeks into my second pregnancy now. Forewarned is forearmed. How scary! I didn’t know you could have it AFTER the birth of the baby. With my first I was being monitored for it but it turned out I have gallstones and needed some Vitamin K as well. The is a very useful post, as I’m 27 weeks into my second pregnancy now. Forewarned is forearmed.